It ranks amongst the highlights of this blog - the day a dress was named after me! Ruth, the owner over at Room 31 told me the exciting news a few weeks ago but I delayed ordering my one...thinking it would never sell out...but it did! Thankfully, Ruth was able to get some more in stock and I ordered up my size 12. 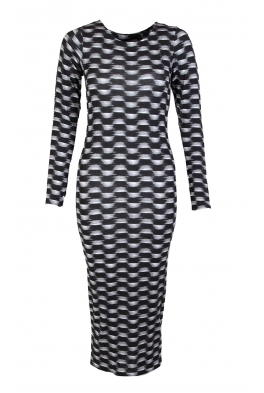 Meet the Avril Ripple Print Midi Dress.. 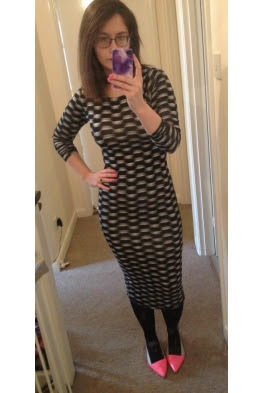 Yes, the Midi Dress bug has well and truly bitten me. It's fabulous being dressed in one step, without the need for a massive tanning session. 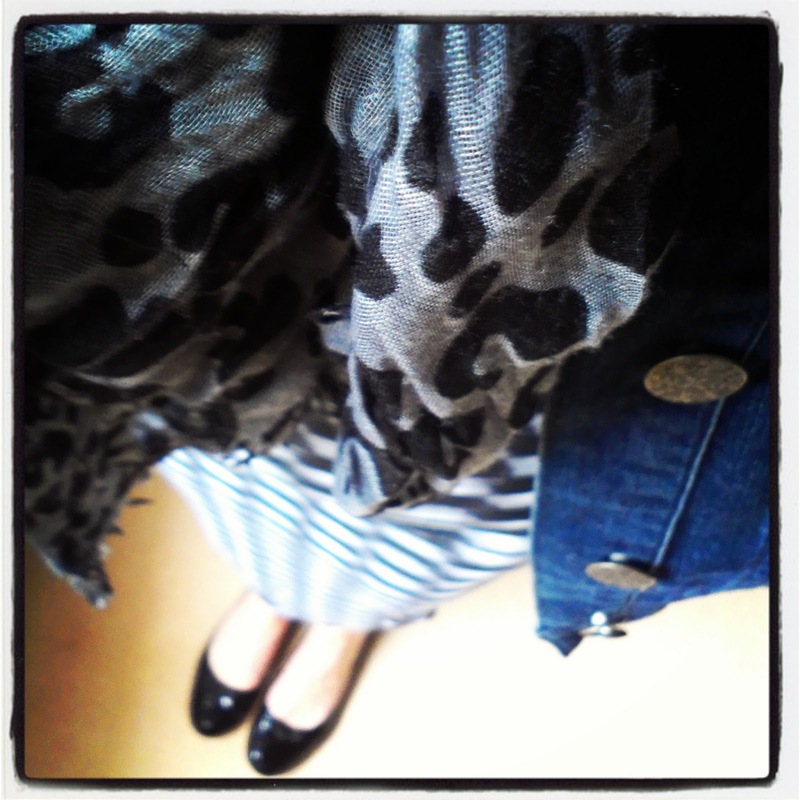 Add flat pumps, denim jacket and a contrast scarf and I was good to go on the school run. 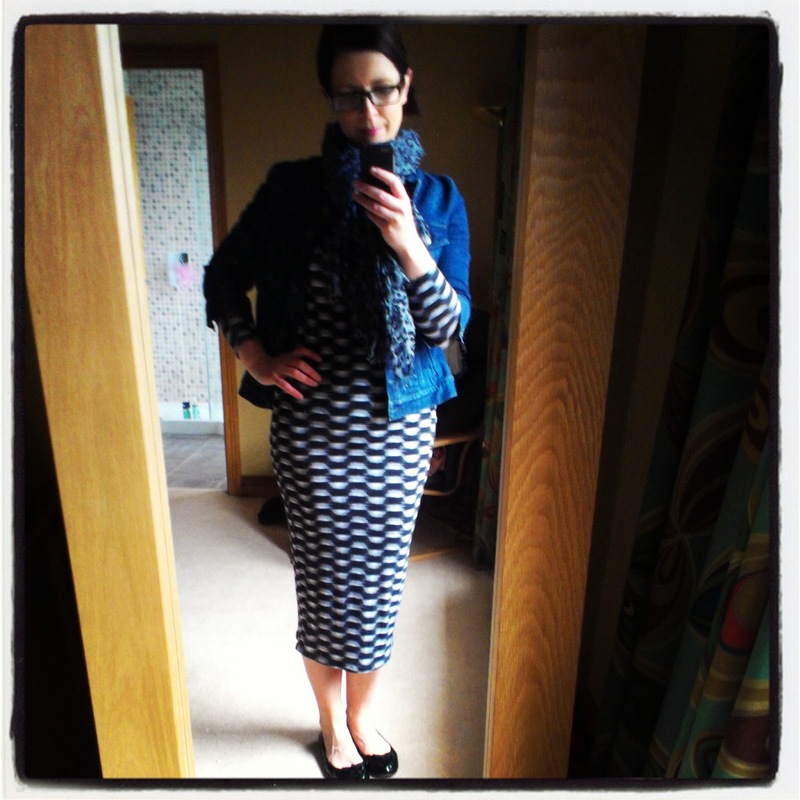 Oh and Amber over at Twentymumthing ordered one too - doesn't she look great in hers also. I hadn't thought of wearing tights with mine but it works great as well - so this dress will take us into Autumn/Winter too. Not many sizes left - you can order yours via this link and remember to use SGS25 at the till for 25% off! That is so exciting! The dress is just fantastic, congratulations! Omg Avril that is so cool! (I'm aware I sound like a 14yo with that last sentence) I have a few midi skirts but no dresses so I may just have to order one to see what all the fuss is about. Both you and Fiona look great in yours! I've been hunting midis since I saw you and Fiona in them. I love the look! Yours is perfect! Hi my dear! The Avril dress is perfect on you- I love how you've styled it and I know it will be a really versatile and stylish piece for you. I've just posted about my new midi dress purchase, I love how you and Fiona have influenced me, hehe!! Avril you must be a true fashionista now! It will be a handbag next!! How fun having a dress named after you! :) Besides I think you look great wearing it as well!